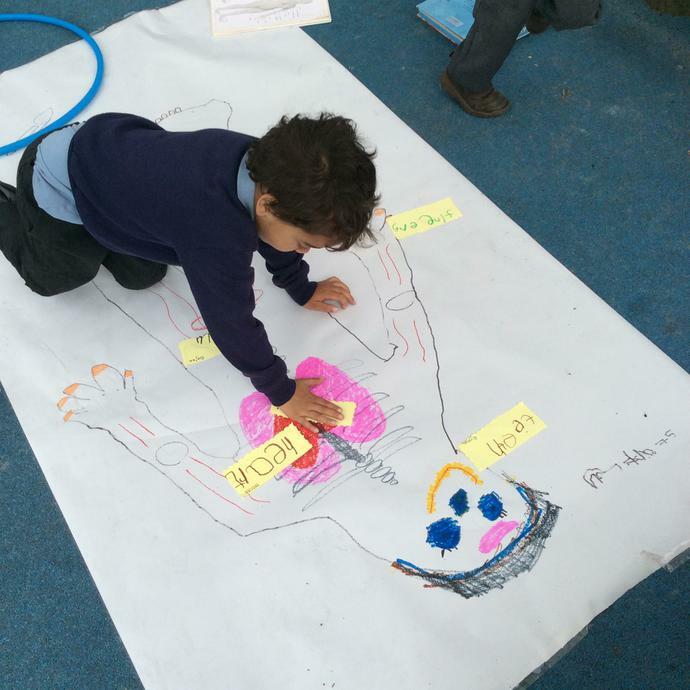 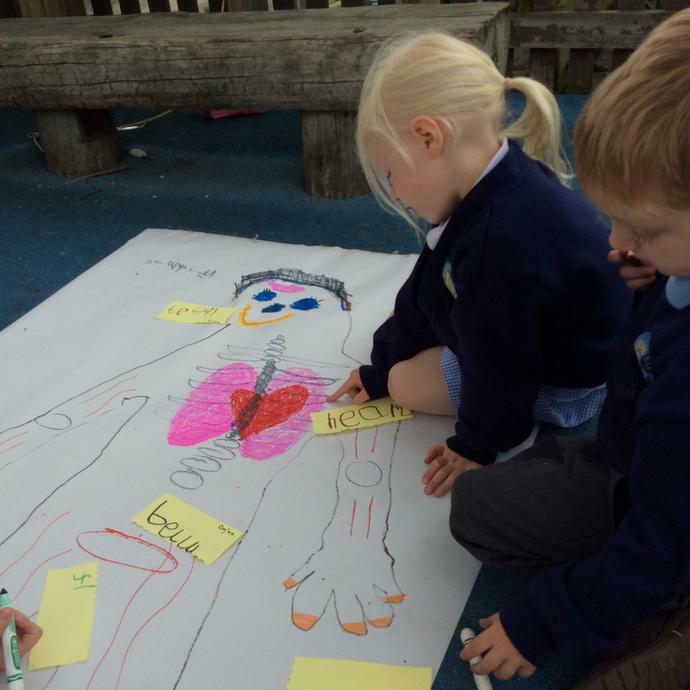 This term we are looking at our bodies. 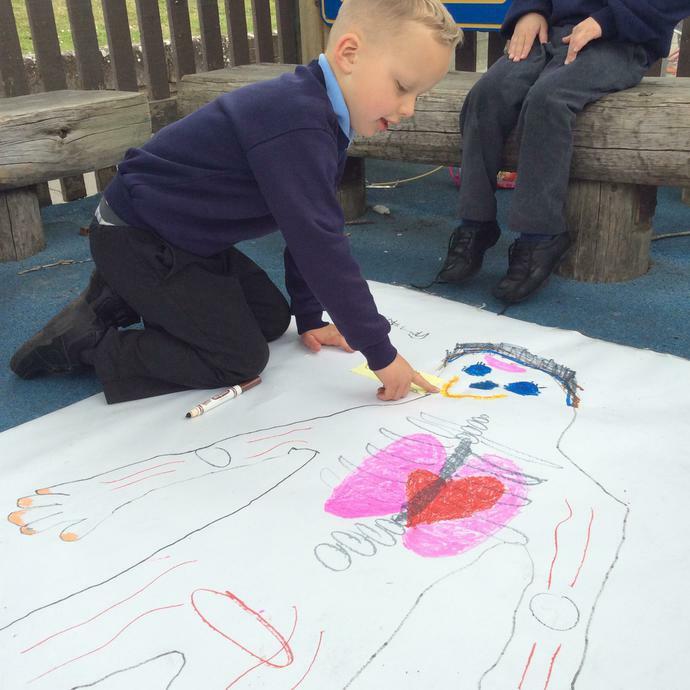 We will focusing on how our body works, keeping health and talking about our emotions. 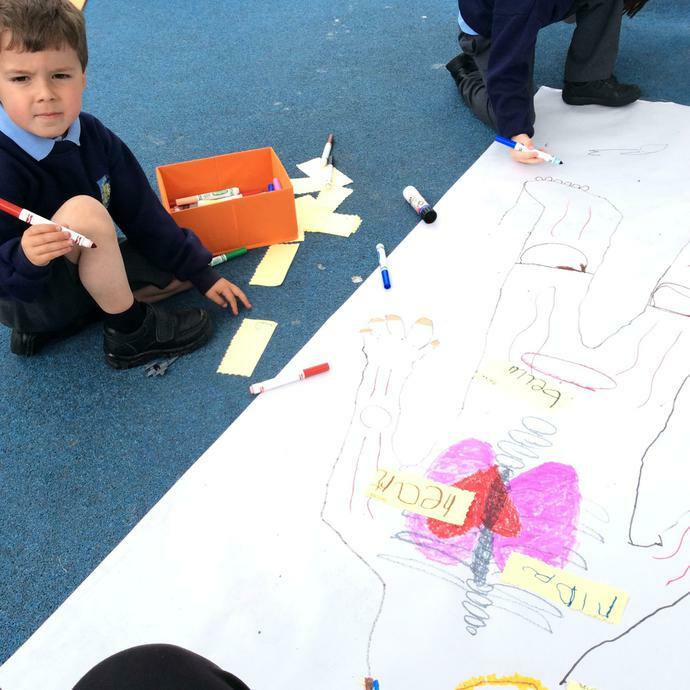 The children have already enjoyed looking at skeletons and naming the bones inside their bodies. 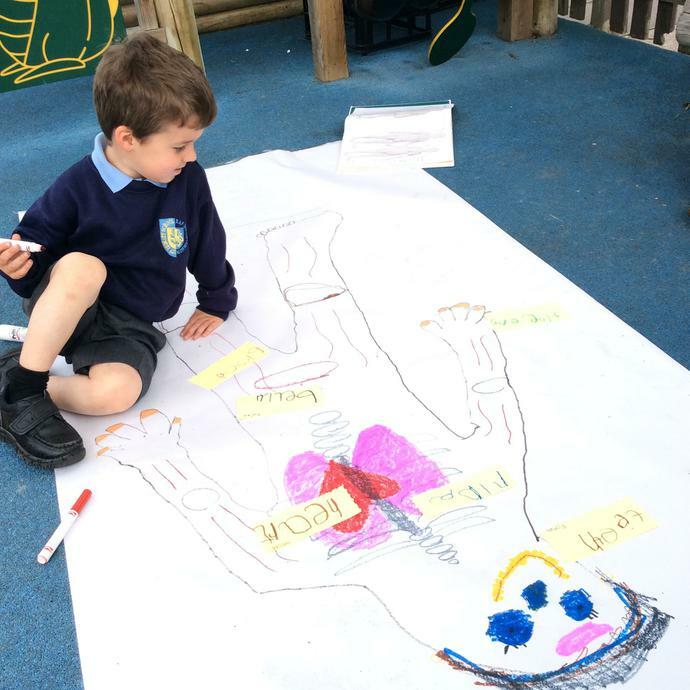 They have been very busy making story maps from the book 'Funny Bones' and are almost ready to create their own stories. 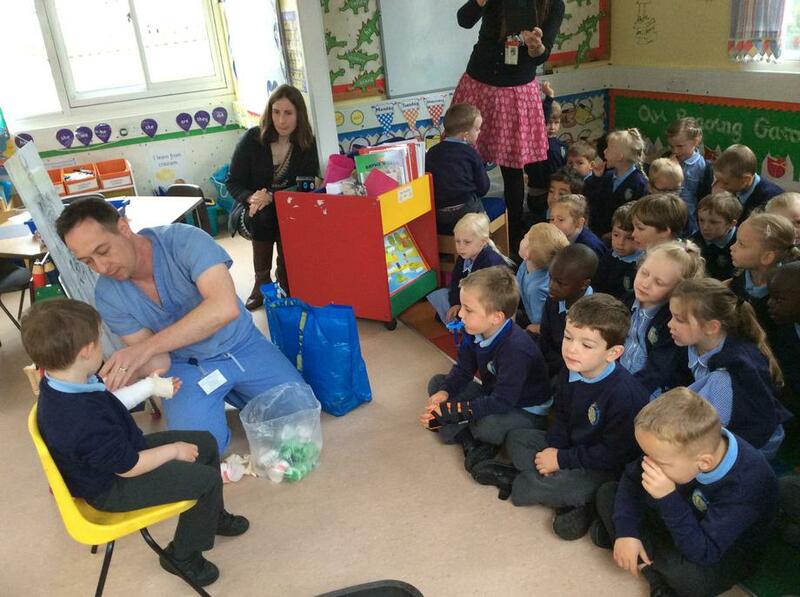 Our very exciting visit from Dr Sykes! 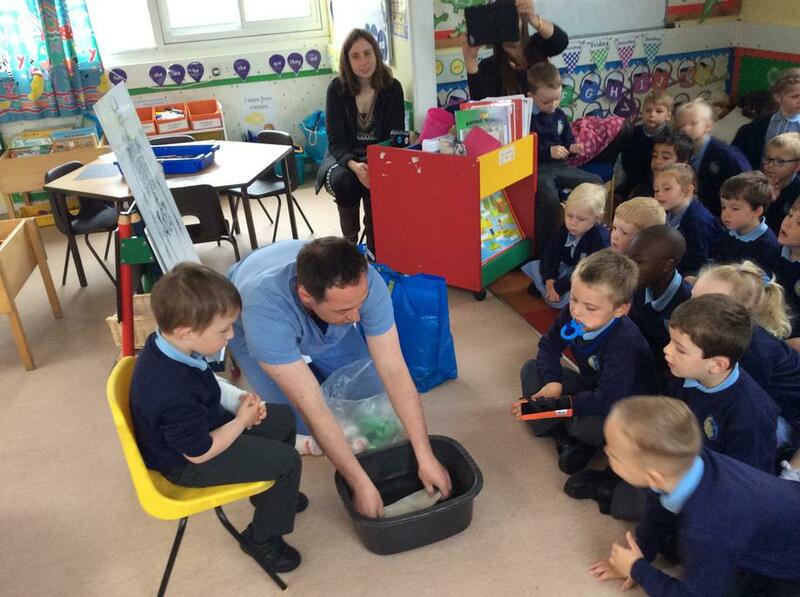 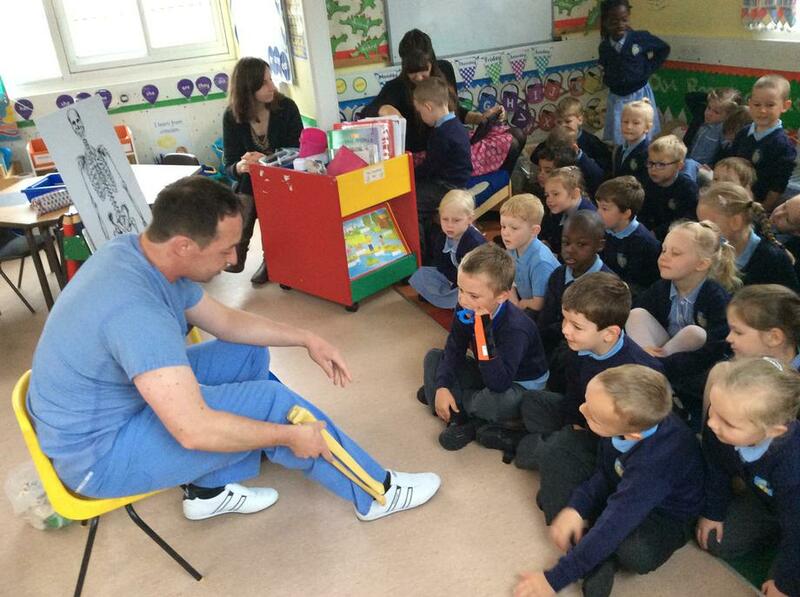 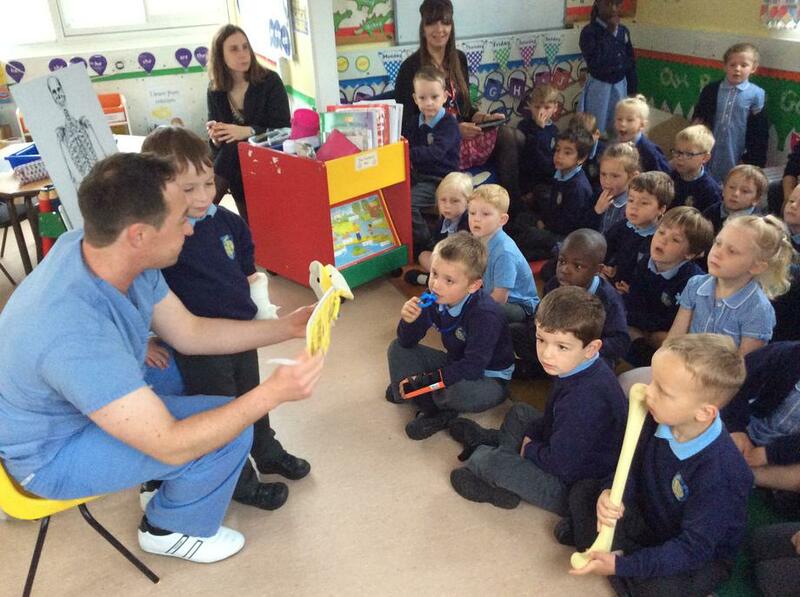 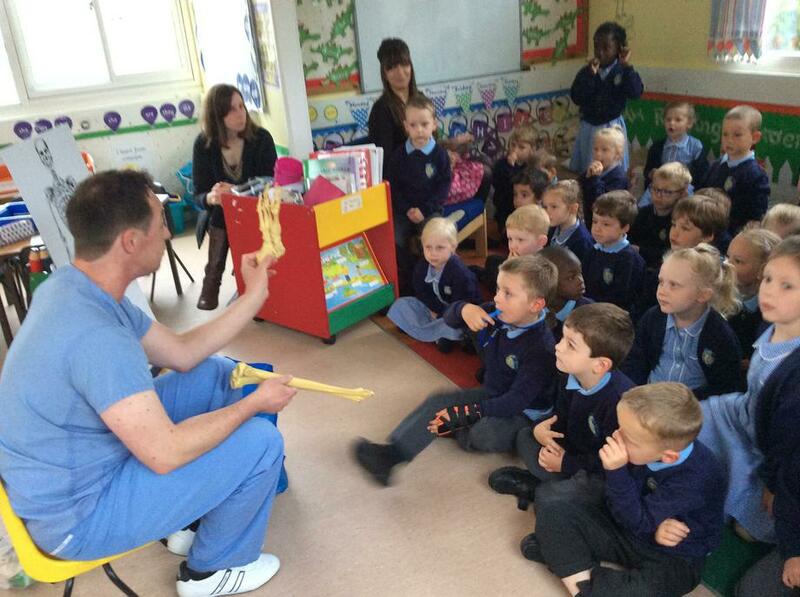 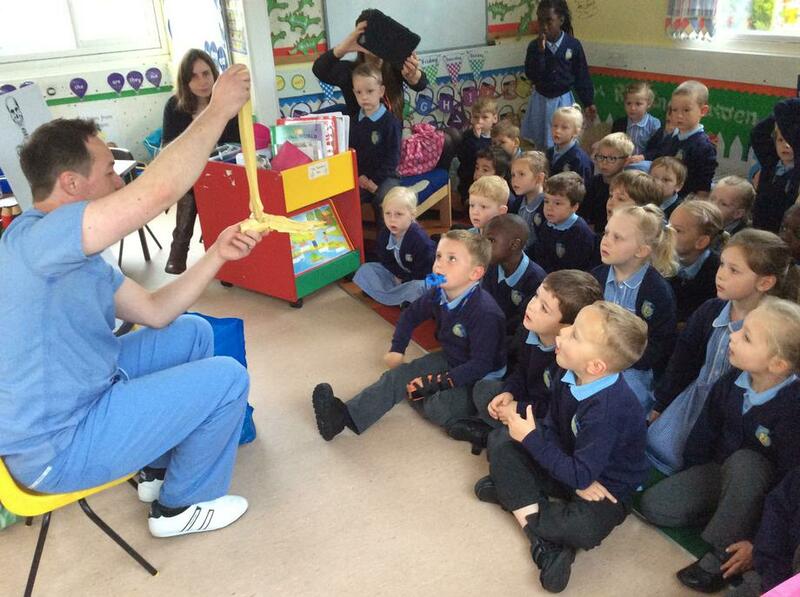 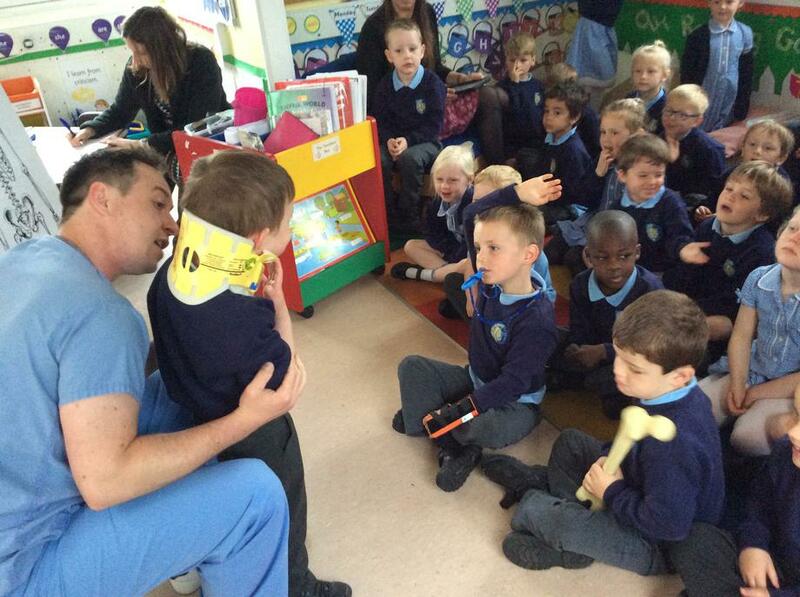 We had an exciting visit from Dr Sykes who told us all about bones. 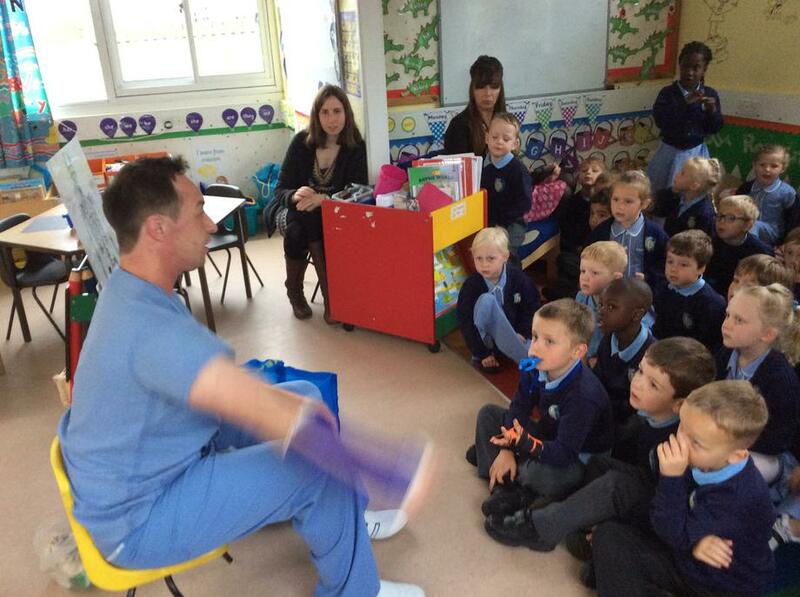 He showed us how a cast is made, what is used when we fracture arm, wrist or neck! 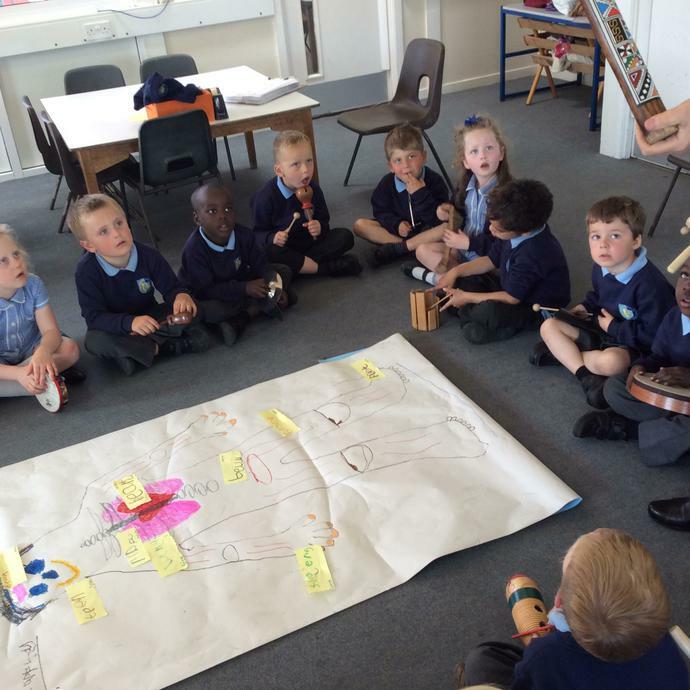 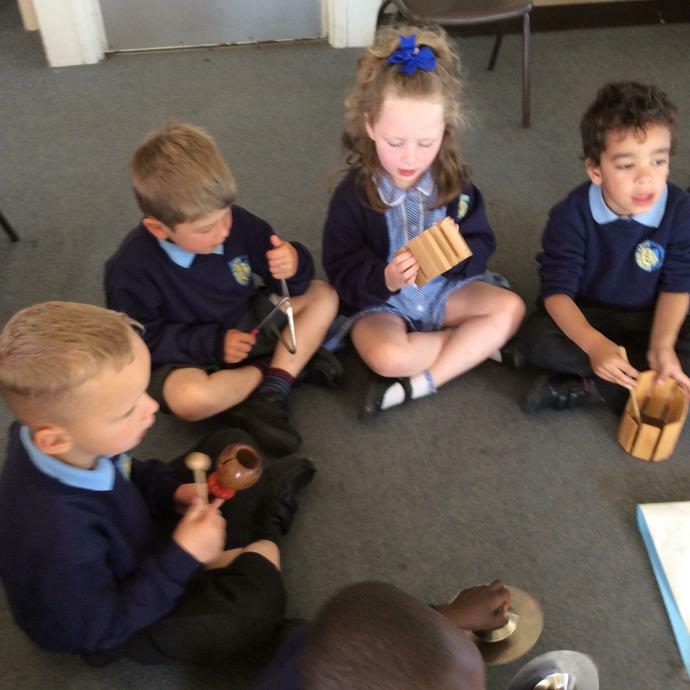 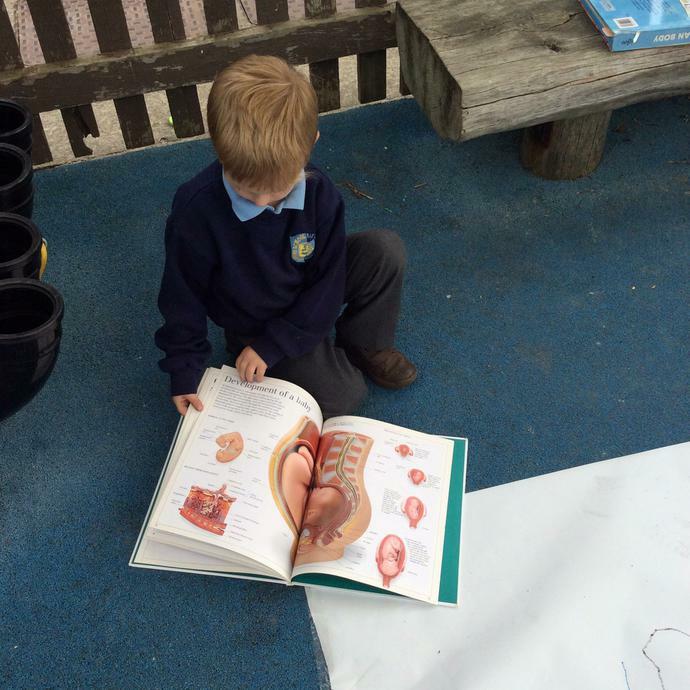 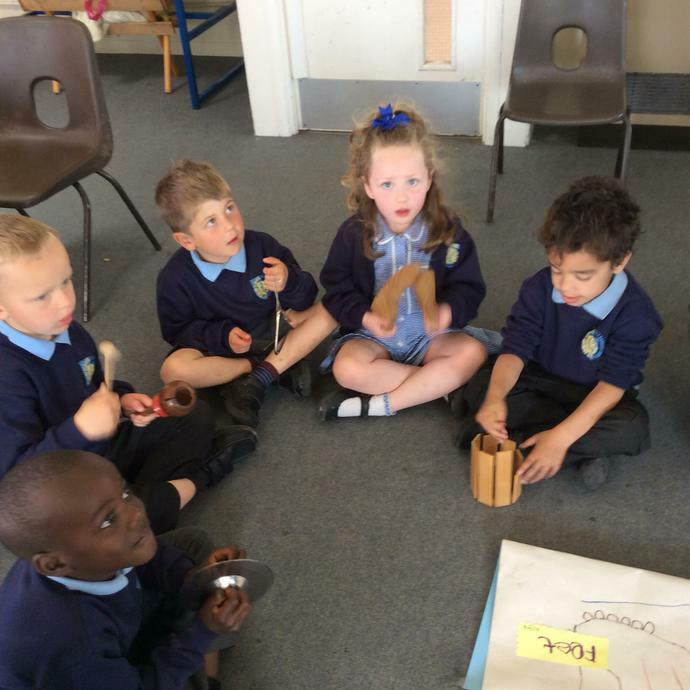 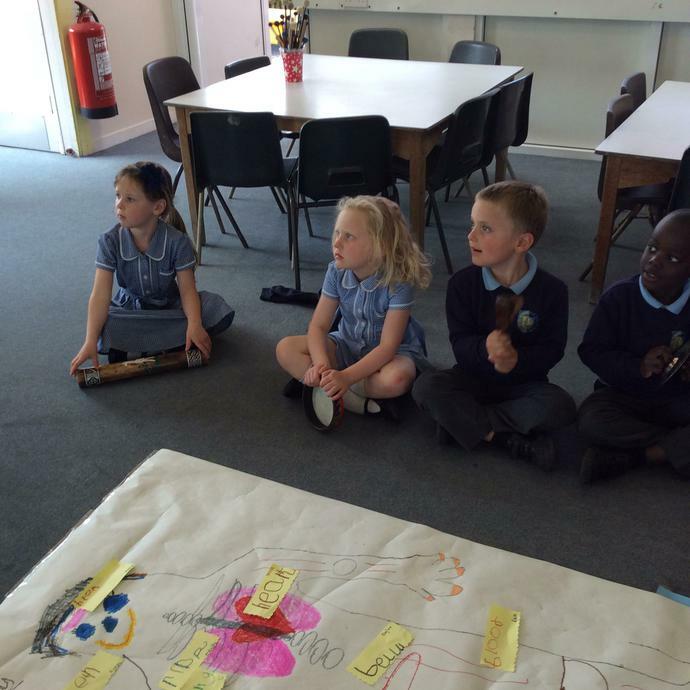 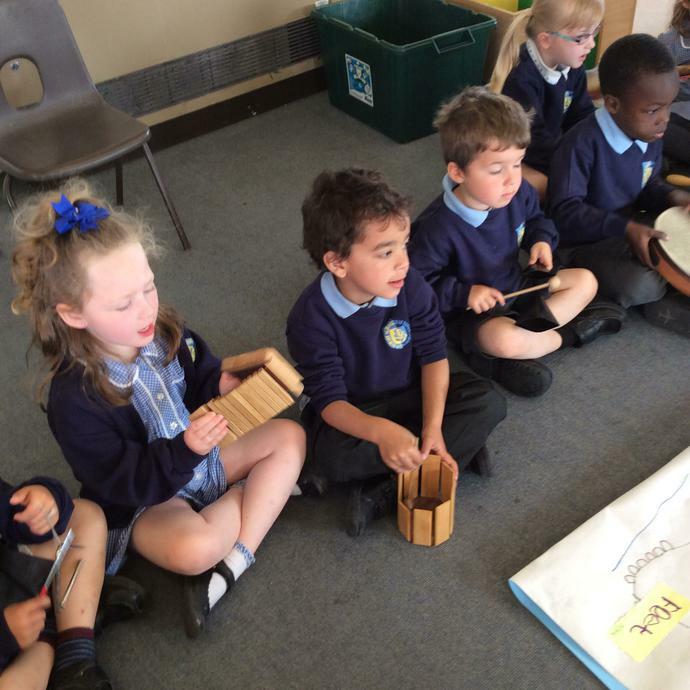 In music we have been learning about the different organs. 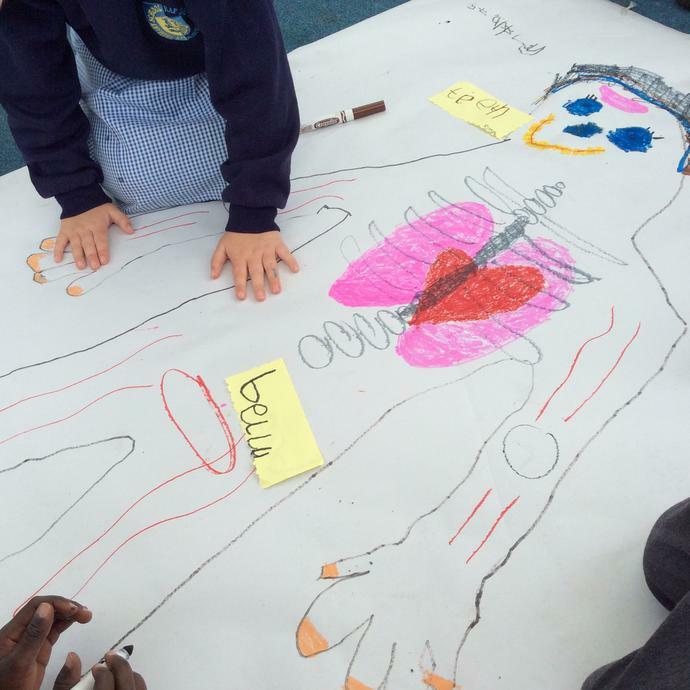 We have drawn and labelled a body and matched different instruments to the organs!